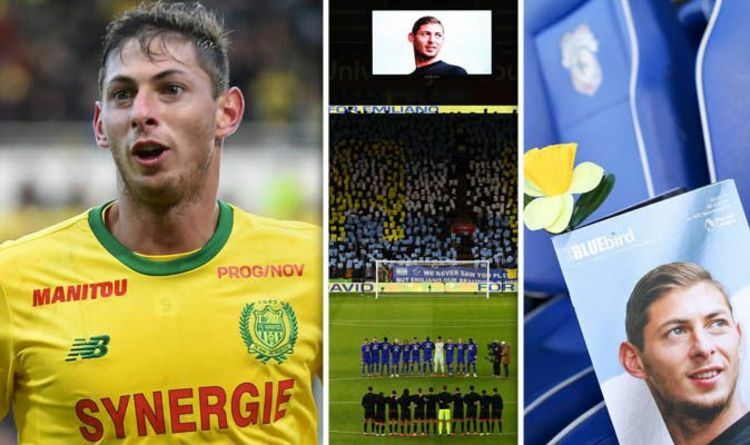 The plane carrying Sala and being flown by pilot David Ibbotson went missing on January 21 as it travelled from Nantes to Cardiff following his transfer to the Premier League club. Sala had completed a £15million record move to the Cardiff City Stadium just days earlier and was saying his goodbyes to former team-mates and friends in France before starting his new life in Wales. The aircraft went missing over the Channel and was found on the seabed 60m below on Sunday evening – two weeks later – before it emerged that a body could be seen in the wreckage on Monday. The statement read: “The body brought to Portland Port today, Thursday 7 February 2019, has been formally identified by HM Coroner for Dorset as that of professional footballer Emiliano Sala. The body was recovered late on Wednesday night and now Dorset Police have identified it as Sala. It comes after Nantes had opened legal proceedings against Cardiff over the payment of the transfer fee. Cardiff are said to have received a letter from the French outfit on Tuesday, in which they threatened to take legal action if the first scheduled payment of the fee is not made within 10 days. Although Nantes were entitled to the first instalment of Sala’s fee by now, the Premier League side have been left surprised by the demand given the tragic circumstances. Fans were handed daffodils as they entered the Cardiff City Stadium. In the 28th minute, a round of applause swelled around the ground as supporters sang the striker’s name. On January 30, Nantes also paid tribute to their former player. Referee Frank Schneider stopped play in the Ligue 1 match against St Etienne for a minute of applause. Ross Taylor of A-to-Sea Solutions – whose survey ship located the wreck – said the crew found the missing plane on its third “line” of the search area in question. When asked if it was possible to recover the body without raising the wreck, Mr Taylor said: “ROVs are sometimes able to grab on to items, but whether that would happen I don’t know. Divers can also get down to that depth. Tributes will no doubt be made again this weekend in the Premier League after the identification of Sala’s body.